Texas now has 104 natural gas fueling stations, according to a map released Monday by the Railroad Commission of Texas. That’s nearly 50 more than Texas had last year. Meanwhile, 67 more stations are set to open in 2015. 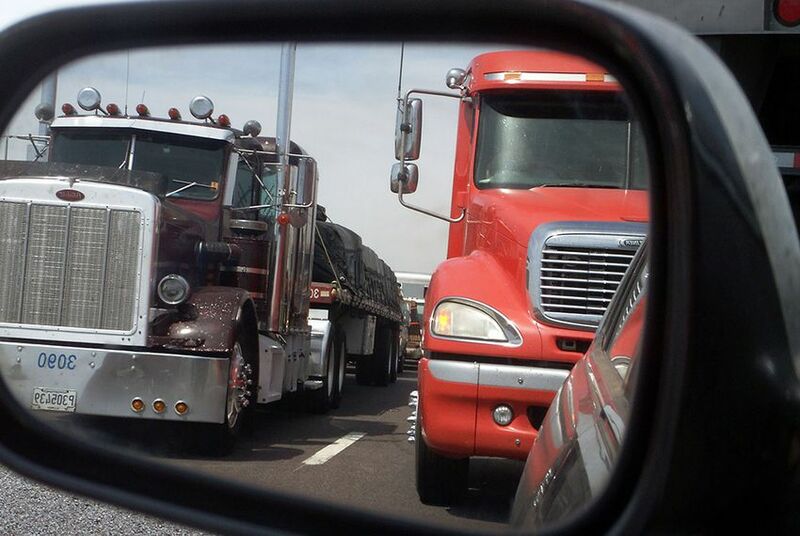 Those who drive natural gas-powered vehicles around Texas are quickly getting more fueling options. 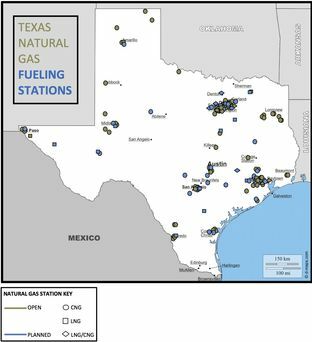 The state now holds 104 natural gas fueling stations, according to a map released Monday by the Railroad Commission of Texas. That’s nearly 50 more than Texas had last year. Meanwhile, 67 more stations are set to open in 2015. Oil, of course, has a stronghold in the auto industry, as a mix of factors have created long-standing barriers to the expansion of natural gas vehicles – models whose engines run on the cleaner-burning fuel. Those hurdles include a lack of fueling infrastructure across the U.S. and the higher upfront costs. But the number of natural gas-powered vehicles is growing in Texas and elsewhere, led by companies, government agencies and other large organizations that have converted their fleets from those powered by gasoline and diesel. 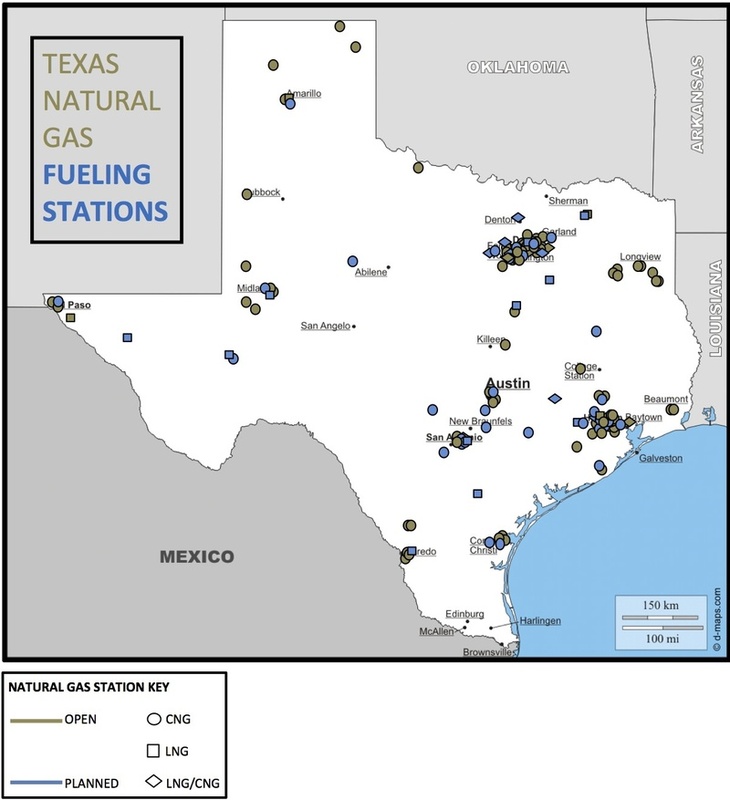 Sixty of Texas' new stations are public, and the remainder is private – used by companies and other organizations with natural gas fleets, according to the railroad commission. The stations serve more than 7,100 vehicles, few of which are for personal use. The state now has more vehicles running on natural gas (both compressed natural gas and liquefied natural gas) than any other alternative fuel source, the railroad commission said. The growth is thanks in part to the millions of dollars in grants the state has doled out in recent years. That includes money spent in recent years on Texas’ “Clean Transportation Triangle,” a growing network of natural gas fueling stations along highways that link San Antonio, Austin, Dallas, Fort Worth and Houston. That includes nearly $8 million issued in grants in 2014. The state has also invested in storage and compression infrastructure in counties that struggle to meet air regulations. The Texas Commission on Environmental Quality this year doled out more than $7 million in grants through a program made possible by legislation passed in 2013. Another factor driving the trend amount to simple economics, experts say. The nation’s surge in natural gas production has made the fuel far cheaper than gasoline and diesel.